My 3 and 5 year old love this over-sized book of silly Bible illustrations. The Bible stories included are: Noah and the Ark, Moses leading the way across the Red Sea, Joshua and the destruction of Jericho, David and Goliath, Daniel in the lion’s den, Jonah and the Sea Monster, Jesus’ miracle of loaves and fishes, and the healing of the man being lowered through the roof. 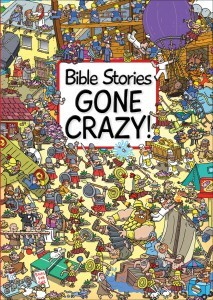 Each story has it’s own two-page spread, a Bible verse, the longer Bible reference, and multiple funny mistakes and/or events to find in the picture. There are also teddy bears to find within each story. The quality of the book is really good: It is hardback, and the pages are thick and glossy like dry erase paper (we have not written in it, but that would probably work). 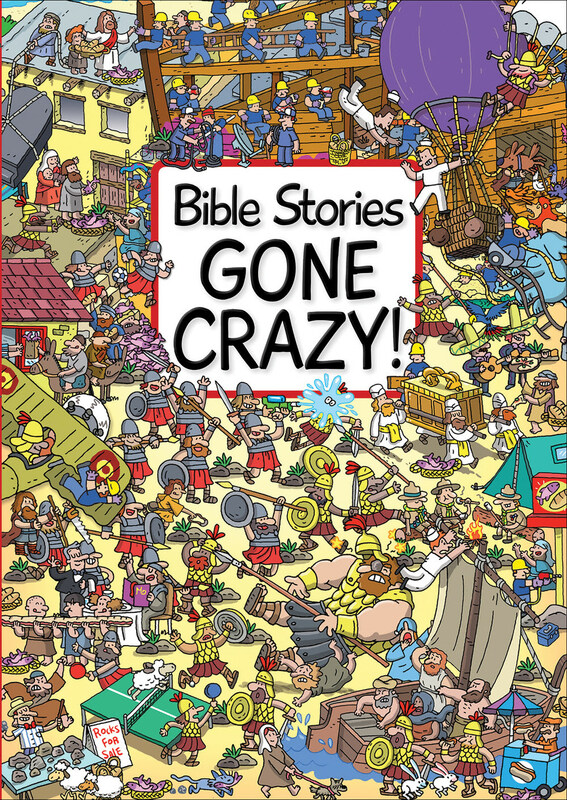 The kids enjoyed the bright illustrations, and finding modern, fantasy, and humorous images mixed within the Bible characters and scenes. This book keeps their attention longer than many. One thing that confused and bothered us, though, was that some of the side notes of what to look for do not match the illustrations exactly. For instance, there may be an image of a guy doing something, and when you find him in the picture he is facing the opposite direction as the example–so some of the details could be better. There is also no answer key, which would be helpful (one item we still have not found!). But many of the questions in the margins are excellent discussion points, and it is a fun book!